Successful result in High Risk Pregnancy is possible if proper care is provided. This lady is 37 year-old in her 1st Pregnancy. She conceived naturally and came to us after getting pregnant. Pregnancy at age more than 35 years, can carry high risk for mother (high BP, diabetes, clotting of blood- Thrombosis, Bleeding and even life risk) and for baby (miscarriage, birth defects, sudden death, i adequate growth, delivery before time etc). Before pregnancy, she was on medicines for high Blood Pressure (HYPERTENSION). However, during pregnancy, her BP was well controlled, albeit on higher side, but did NOT need any medicine to lower BP. However, we evaluated her fully to find out the cause of Hypertension, by Cardiology Consultation, ECG, Echocardiography, Urine test for Protein and regular blood tests. She was advised to check her BP at home regularly. She is overweight. It carries the risk for mother (high BP, diabetes, Thrombosis, delivery problems and life risk) and baby (Miscarriage, birth defect, sudden death, inadequate growth, excessive growth and low birthweight).Having previous Hypertension, advanced age and increased weight, she was at risk of Preeclampsia (a Life threatening disease in pregnancy with high BP and loss of protein in urine, which can harm baby and can damage mother's heart, lungs, kidneys, liver, brain etc). So as per International Guidelines, we started Tablet ASPIRIN at low dose to reduce the risk of Preeclampsia. We performed all investigations routinely performed in all pregnant women. These include blood tests for complete blood count, blood sugar (after taking 75 gram glucose), blood group, Thalassemia screening, Thyroid, HIV, Hepatitis B and Hepatitis C etc, and also Urine for routine tests and culture. Combined test was done at 12 weeks to determine the risks of abnormalities in the baby and Anomaly scan was done at 20 weeks to determine if all organs of the baby were well developed. Additionally, as she was at risk of inadequate growth of the baby, Serial Growth Scan with Colour Doppler was performed from 28 weeks, regularly. However, she required Hospital Admission two times on Emergency basis (one episode at night and another during Puja) for headache, vomiting, breathing problems, problem in vision and pain in upper abdomen. We take these problems SERIOUSLY, because these may indicate SEVERE PREECLAMPSIA (that may be life threatening). Some tests were done after admission. Fortunately all reports were normal, except liver function test was abnormal (enzymes elevated) and a small (5 mm) stone was noted inside the Gall Bladder. However, these problems subsided with medicines. 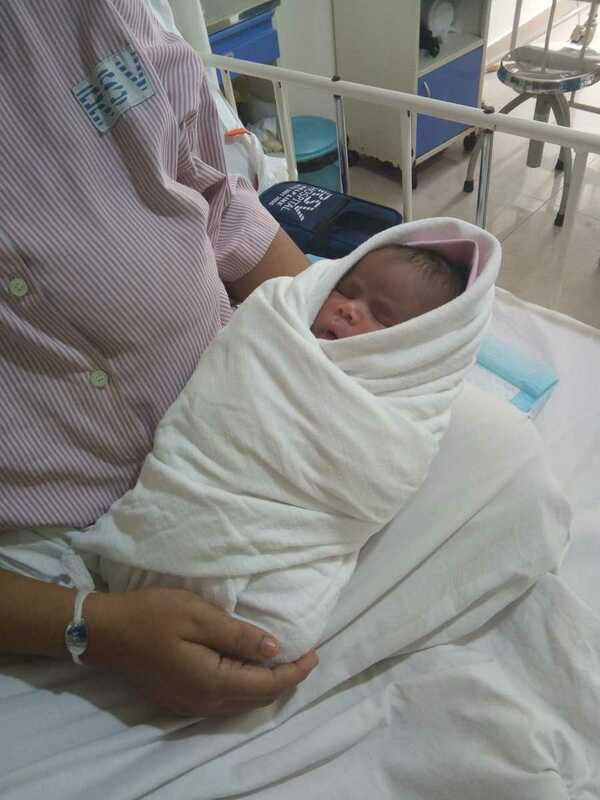 Considering all risk factors, we decided to deliver her at 37 weeks in NICU set up. She was given injection Steroid to improve the lung maturity of the baby. She could not tolerate iron tablets in pregnancy, so haemoglobin was slightly low. However, she did not receive any blood transfusion. Now mother and baby both are healthy.